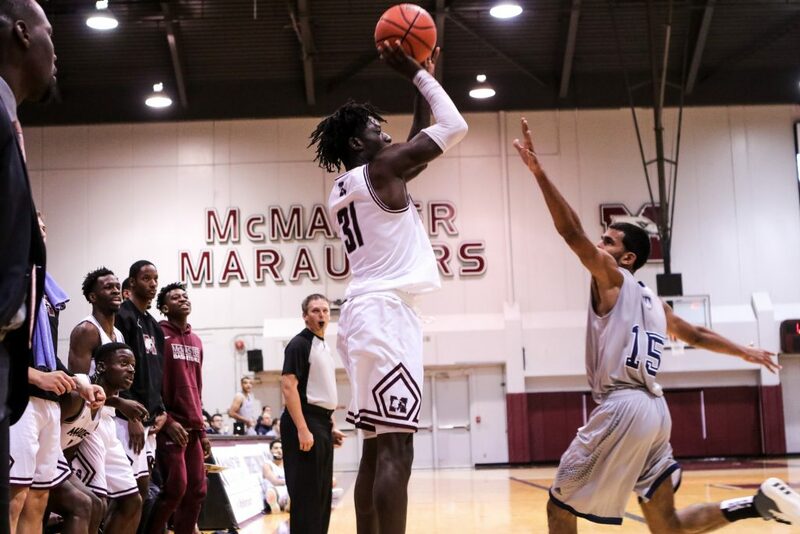 Looking at the McMaster men’s basketball roster, the word “young” comes to mind, as nine of the 16 players on this year’s squad are rookies. With the addition of third-years Damiann Prehay and Yaw Antwi-Boasiako, and the return of Connor Gilmore, only four current players were on the roster last year. Despite solid contributions from core veterans Matt Quiring and David McCulloch, this drastically different roster makes it is easy to see how top contenders might overlook the team. Even still, despite the youthful lineup, the Marauders are not interested in taking the path of least resistance and slapping the “growth” and “rebuilding” tags on the season. 🏀 FINAL: McCulloch's 23 points leads the way, as @MacMensBball pulls away in the fourth quarter to record the 97-80 win over Guelph! Coach Tatham’s confidence in his rookies certainly shows. Freshman guards Tristan Lindo, Sefa Otchere and Jordan Henry are averaging 26.1, 20.3 and 25.6 minutes per game respectively, accounting for 28.2 points per game together. The confidence is paying off, and the rookies are looking to keep up the trust and continue to earn the right to lengthy minutes in their first season of university-level play. “[Coach Tatham] expects me to be more aggressive, play with confidence, be solid defensively and offensively, and just play with a lot of heart and effort,” said Otchere. For Otchere, despite his solid numbers in the first half of the season, the adjustment to university ball has taken time. The amount of inexperience within the Marauder’s system has also catapulted the few returning players into leadership positions. Adu-Poku, only in his third year, is already finding himself in the veteran role. Swipe to read how @kwasi.ap2 overcame doubting himself ➡️ #BeyondTheBurridge takes a deeper look into the lives of the team outside basketball from their own P.O.V. Adu-Poku was also quick to stress that leadership spots are not just doled out to the players who have been in the system the longest. “I think with [coach Tatham’s] culture right now… I think he’s just really trying to show that anyone can be a leader in the sense that, if you’re willing to step up and fit the idea of what he wants to get done and just do what you do best, he’ll use you as someone that people could get advice from,” Adu-Poku explained. In all, there is a pervasive sense that this Marauders squad, containing the few core veterans supported by a cast of motivated rookies, are still more than capable of putting together a strong campaign. 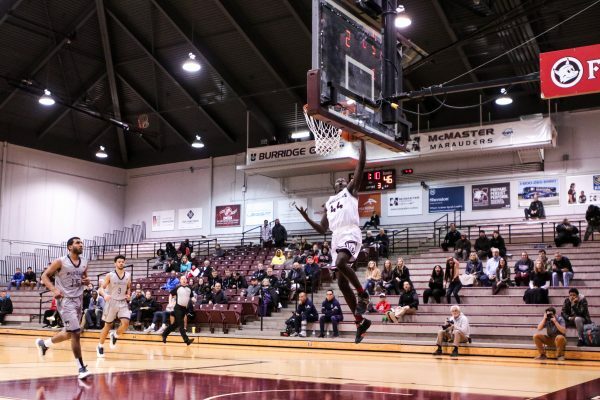 While the dominant Carleton University and Ryerson University teams might still be out of reach for the time being, the Marauders continue to gain university-level experience and build chemistry. Only getting better, the Mac men will look to continue to prove they are capable of knocking down teams previously thought to be well beyond striking distance as the season progresses.